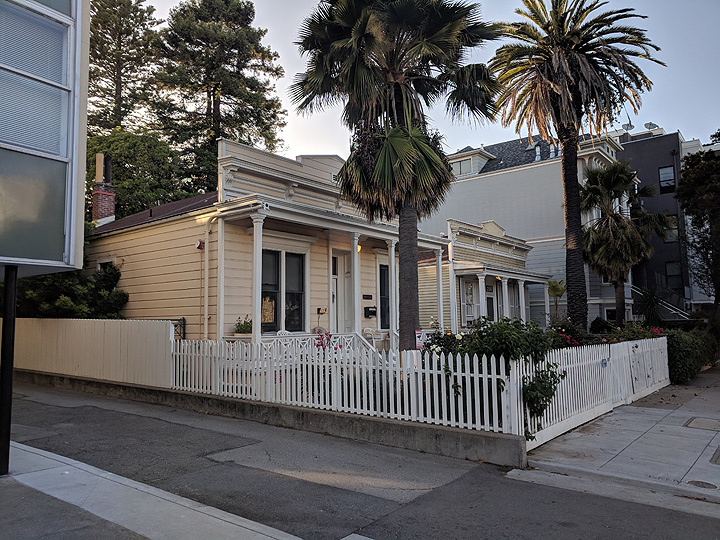 The Tanforan Cottages at 214-220 Dolores Street were built in 1853 and are considered the oldest structures in the Mission District. 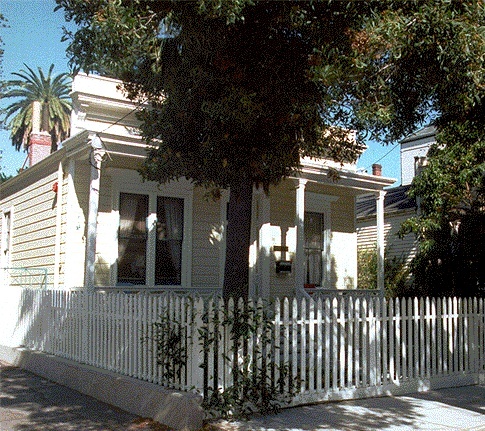 Two very old houses that have maintained their original appearance can be seen side-by-side at 220 and 214 Dolores Street. The "Tanforan Cottages," so called because members of the family of Toribio Tanforan occupied them from 1896 to 1945, are simple frame structures with modified late Classical Revival façades. Though very nearly identical in appearance, they were not constructed at the same time; 214 Dolores is said to have been built a little before 1853, 220 not long after that date. This dating is questionable, though, as the first substantiated date is 1866, when Revilo Wells, owner of 214, had water piped in. 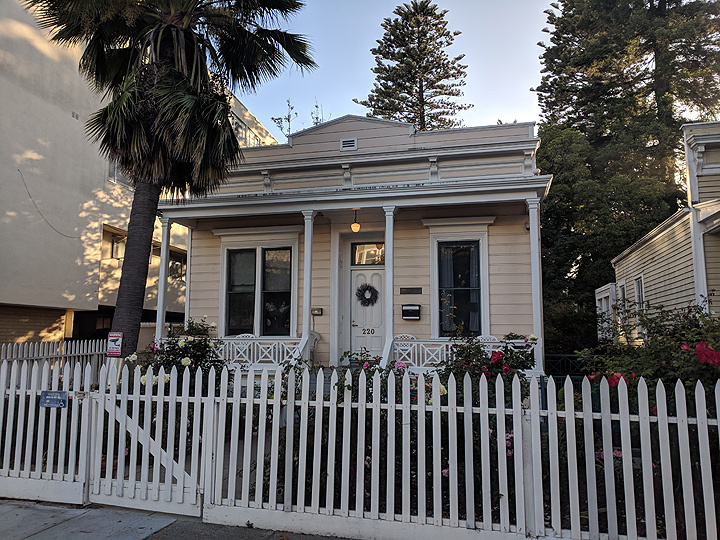 There is still a small carriage house behind 220 Dolores - occupied as late as 1940 by one of the Tanforan carriages. The large gardens of these houses have been well-maintained and contain many specimens of turn-of-the-century San Francisco taste in flora. Since 1995, Tanforan Cottage 2 has been the Richard M. Cohen Residence, a residential care facility for homeless men and women living with disabling HIV or AIDS. For more information, see Dolores Street Community Services. Built in 1854, the one next to it was built in 1853.